Raina and Sean are Padi Freediver Certified. Raina helped found and sits on the board of directors for "The Halifax Freediving Club". 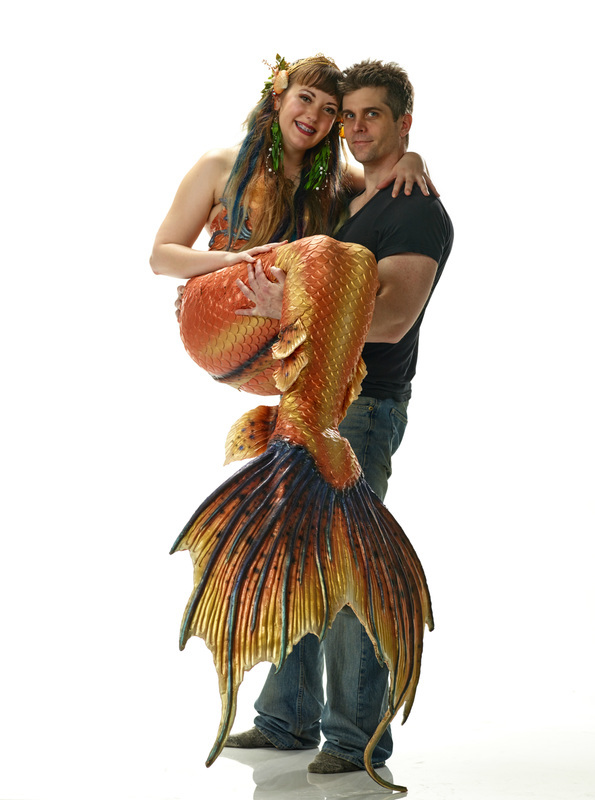 Raina and Sean have been working together on the mermaid company in one way or another since late 2007. They have been a couple since 2007 and married since 2018. Raina has a degree in child development, and a degree in elementary education. Raina has published 3 books and is also an ECE and a trained first aid instructor (though she never finds time anymore to work as one). Raina has over 15 years experience working with children. Raina has been in the performing arts just as long. Sean has his bachelor of commerce with a double major in entrepreneurship and human resources. Sean has been involved in many small business over the years, most recently a wind power company with his dad. Sean has over 20 years experience in the business field. Raina and Sean feel very strongly about the role imagination has to play in the healthy development of children. They created this business with that vision in mind. They also advocate for our environment and have donated their services to many charities and ecological events. Raina and Sean often travel internationally to train other companies and give workshops at conventions. Raina and Sean are both PADI certified freedivers. Mermaid Mimi was a very early addition to the Halifax Mermaid's roster, and has been around almost as long as the company. She started out on her own as a mermaid, but she and Raina quickly joined forces. ​Mimi has a drama background through Dalhousie University, along with music and modelling experience. Mimi has been working with children in one capacity or another since she was very young, and currently also works as a nanny. Mimi has been a regular in the Halifax acting scene. Her husband Marc often assists on her solo bookings and owns his own mooring, and boat touring companies. They have a beautiful merling daughter. ​Mimi loves to swim and is often teased by the other mermaids because she enjoys being in even cold water. She really is a Canadian Mermaid! ​Mimi has been involved in multiple charity and activism projects throughout HRM. Ama is currently on Mer-ternity leave. Though Ama may be the youngest member of the group, she has actually been with it off and on since the start in 2007. 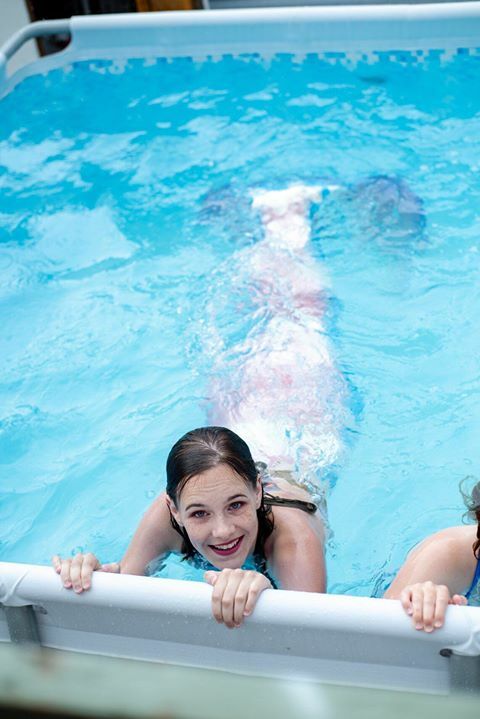 She got her start with her sister Raina's hand-me-down mermaid tails, and soon proved she could surpass her older sister with ease. Ama has always enjoyed the water. During her human times Ama enjoys working with the elderly through a seniors home. Ama is a bright you woman who has a lot of patience and is amazing with kids. She has been working with children since she was a kid herself. 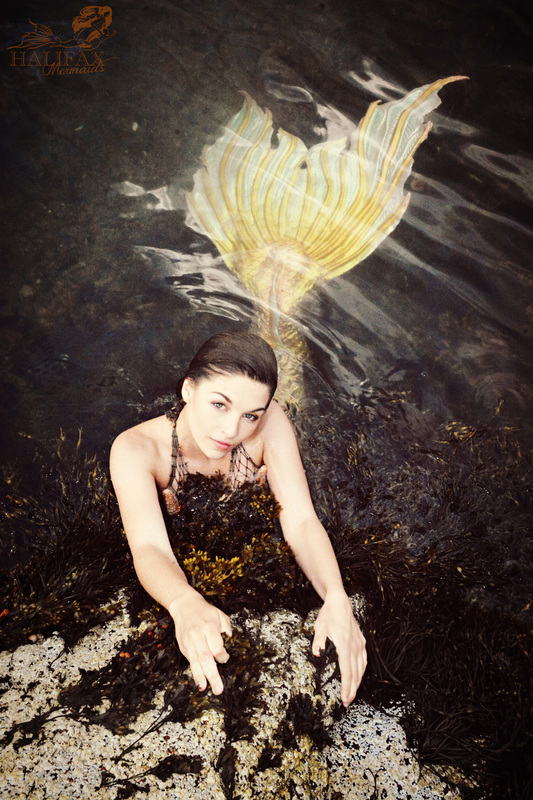 Ama really loves animals and is very experienced in giving Mermaid Lessons through our mobile mermaid school. Ama is a very talented underwater swimmer and performer. Over the years she has donated her time to many charity and ecological events. Mermaid Nessie got her start as Mimi's protege, working bookings in tandem with Mimi before she officially joined Halifax Mermaids. Nessie is famously known for her home-made rainbow fish tail (soon to be upgraded) and her bright sense of humor that may or may not have grown ten fold after a year stint in Newfound Land! Nessie got involved in ocean activism early on alongside Mermaid Mimi and continued it by adopting our mermaid educational workshops which she has delivered in libraries and museums. Nessie is currently training to run mermaid swim classes. Nessie is currently in the middle of her early childhood educator program and works mainly with children. When she's not in a classroom you can find Nessie swimming along St Maragaret's Bay, or making something crafty! 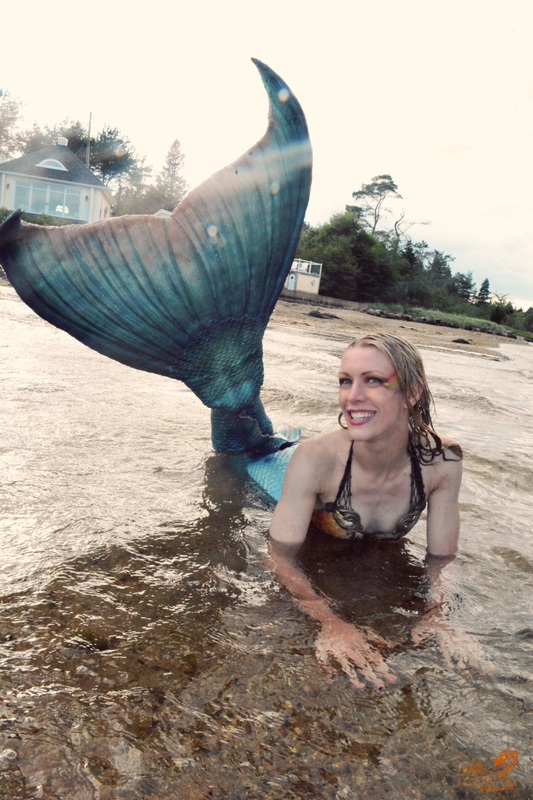 Mermaid Victoria has been with the Halifax Mermaids since late 2014. Hailing from the Eastern Passage Area, the team first spotted this beauty of a mermaid at Fisherman's Cove. Victoria is a licensed MUA and we sure put her amazing makeup talents to work. With a flair for special effects, Victoria is amazing with anything unique. Victoria also dabbles in making her own tails and has made several over the years. She was a recent feature on Mermaid Minerals. Victoria does birthday parties and has also donated her time to many charitable and ecological events over the years. Currently, Victoria has been training to help run mermaid swim classes at our weekly swim school, and has helped teach mobile mermaid school. Mermaid Kristin joined us in the summer of 2016, and we put her to work right away! Touring NS alongside the helpful merwrangler Arthur, Kristin has been leading our educational workshops for the summer of 2016. Kristin is also a licensed teacher working in HRM, with an impressive eclectic background in acting, modelling, and circus work! A professional aerialist, Kristin juggles being a mermaid mom and a high-flying fish to really make a splash for our clients. Kristin is a professional stunt performer and actress. Kay just so happens to also be a marine biologist! 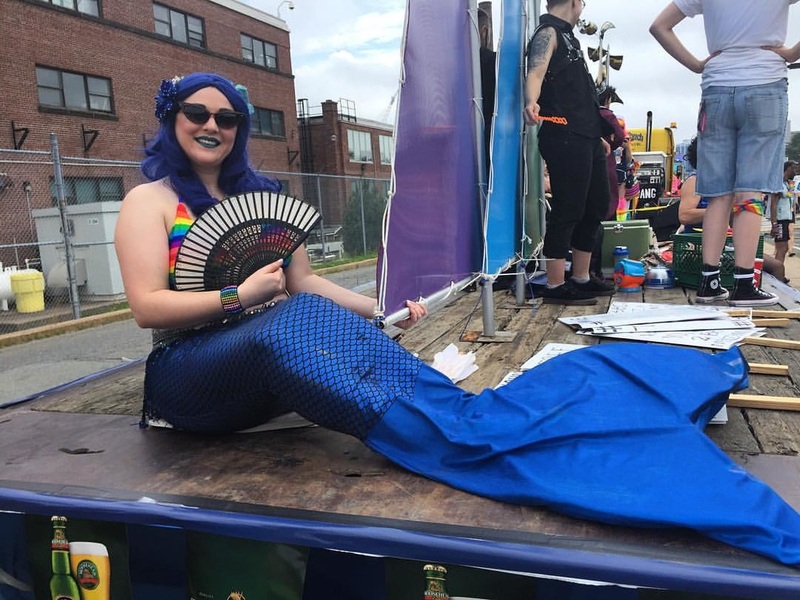 Making her first formal mermaid appearance in summer 2016 during the Halifax Pride Parade, Kay is a welcome addition to our mermaid pod. She will be helping us focus on the services we offer adults, starting by utilizing her background in performance instruction to help us launch adult mermaid classes in the fall. Kay is also talented with a sewing machine and has created several of her own tails. She also has a background in marine biology. Arthur joined our team in 2016 as an additional merwrangler and we've put this poor human to work! When he's not off ushering mermaids all over the province, Arthur is working toward his psychology degree and has a black belt in karate. Arthur can be a quiet guy, but don't let that fool you. Go ahead... ask him about pokemon! We are so thankful to Arthur for all of his hard work as a merwrangler, keeping our mermaids safe, taking photos, and ensuring the best experience for our clients. 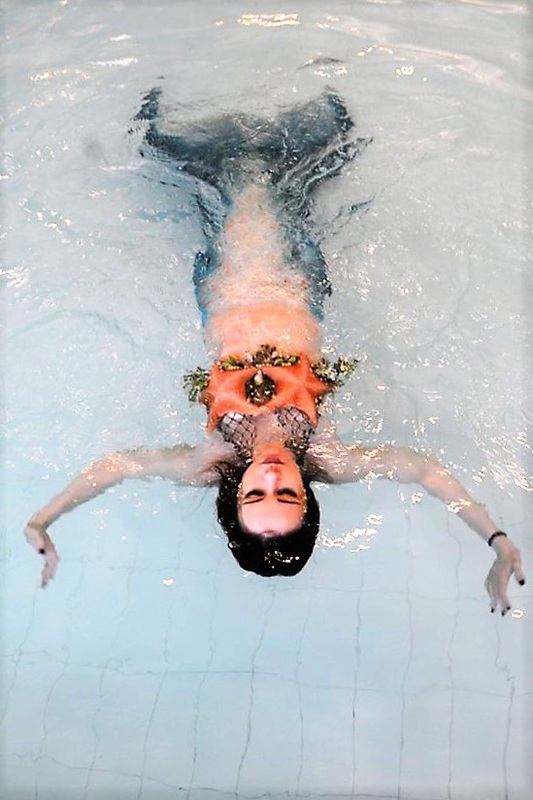 Mermaid Atlantica joined the team in summer 2017. She is a trained Lifeguard and swim instructor. She has a background in child care, mental health, and nursing! Atlantica is looking forward to helping us re-develop our mermaid classes and lessons. She is a certified swim instructor. Atalantica will also sometimes work for us a merwrangler, or a lifeguard. 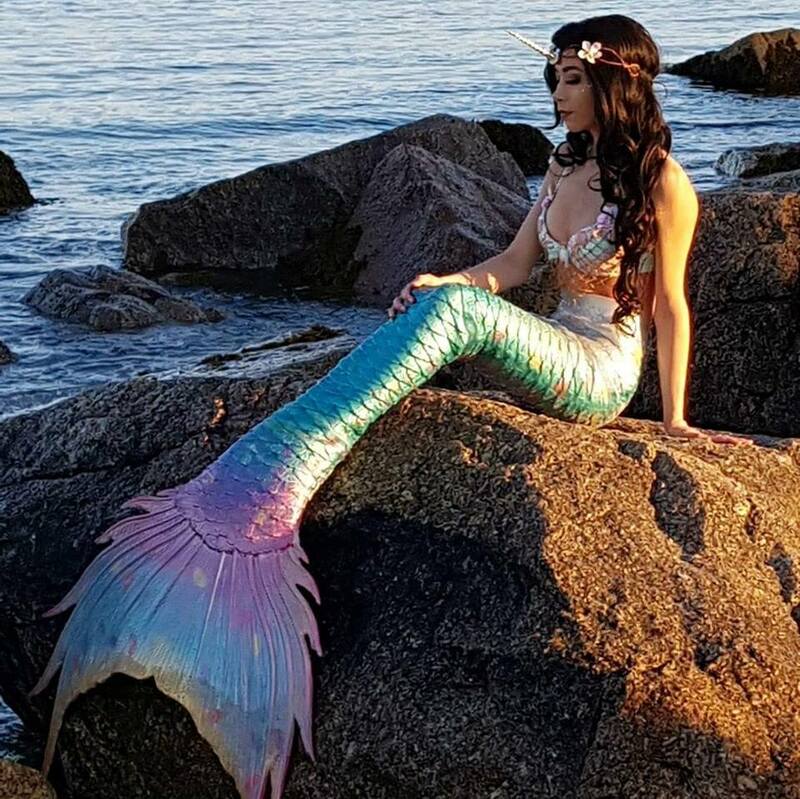 Mermaid Tuwala joined Halifax Mermaids in spring 2018. Tuwala has a background in marine biology with a passion for the vegan lifestyle. She is on the board of directors for the "Halifax Freediving Club" alongside Raina. Tuwala has a passion for the environment and animals. She's the queen of knowledge when it comes to cruelty free vegan products. 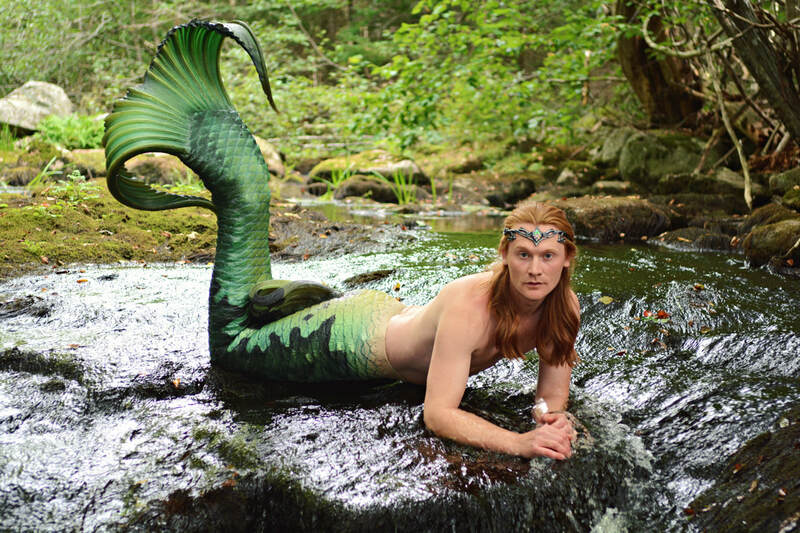 Merman Nova joined Halifax Mermaids in the summer of 2018 as Canada's first professional mermaid. Nova is a professional stylist and signed model. He has been a huge hit at tourism events.